What a dramatic difference we've seen in the quality of our favorite up-north river over the past 15 or so years! 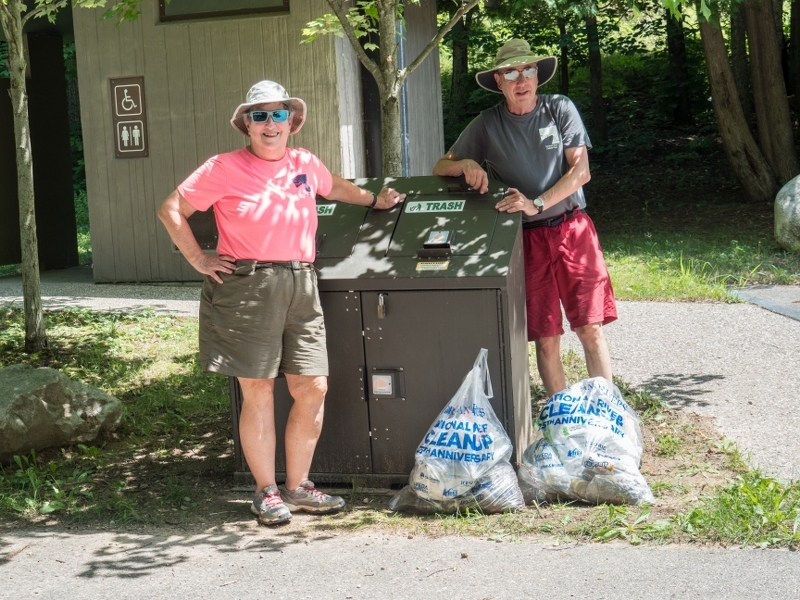 In the early days, we used to collect enough trash on the Pine River to fill several tandem canoes, and now we have to hunt for every little scrap of paper or plastic. The beer cans we find are really old. Today we barely filled two bags, and half of one bag was a very heavy, very soggy comforter. Who brings that sort of thing on a river trip? This trip was both successful and unsuccessful. There was very little trash, and sometimes we would go for ten minutes, just floating and not seeing anything except nature. It's a gorgeous section of the Pine and the weather was beautiful: blue sky, pleasant temperature, clear clean water and lovely trees. 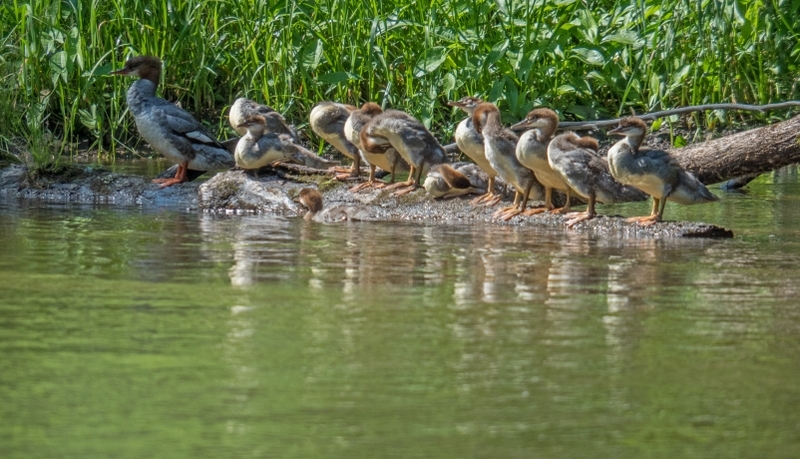 And 12 mergansers lined up on a log! It was terrific to see how little trash was present. So we were successful in that the river (and adjacent log jams and beaches) have been respected in recent years. And in a way, we were not successful because we picked up so little! 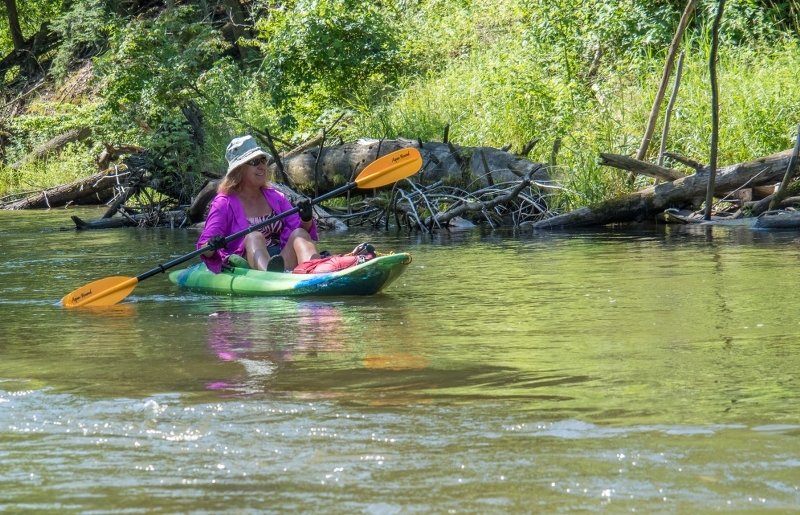 Marlene and Terry M rounded out the crew in their personal kayaks; we consider both of them true "eagle eyes" women! Marv did the shuttle (what a guy! 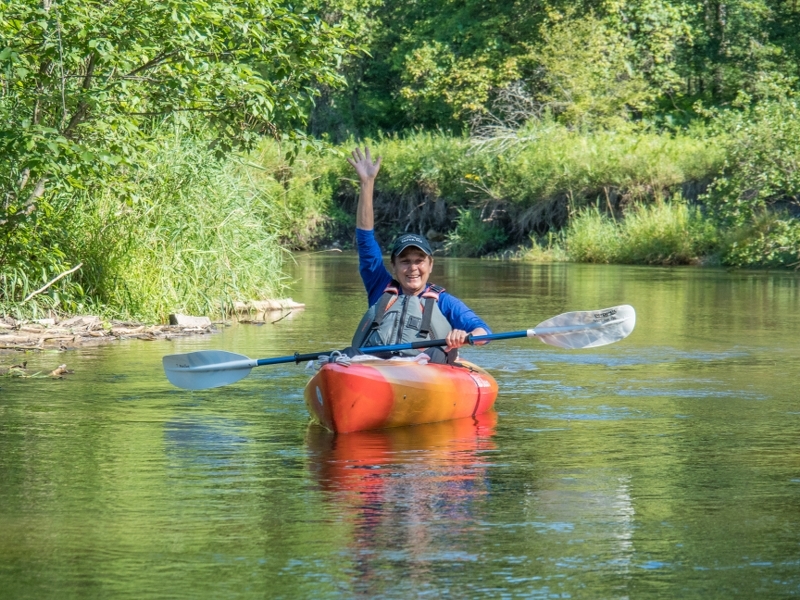 ), and the watercraft and vehicle permits were provided courtesy of the Huron-Manistee National Forest. 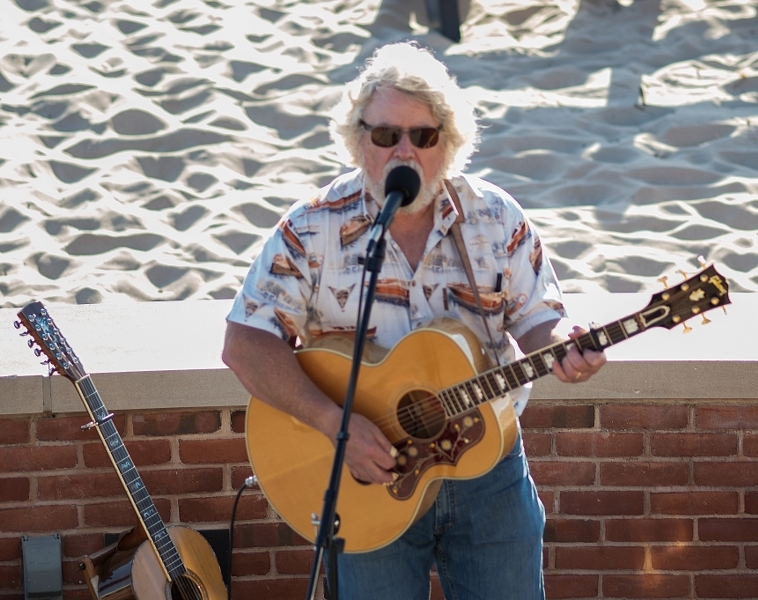 We were done by 1:30, and adjourned to Ludington SP to see a free concert by Lee Murdock, "The Balladeer of the Great Lakes"
Lois, John, & Milda went to a concert by Lee Murdock at the Ludington State Park after the cleanup.